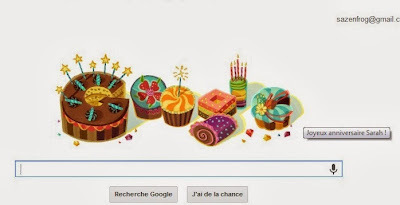 St Bloggie de Riviere: Happy Birthday Me! Champagne and 60s Campari cocktails tonight, motorbiking around Mont Ventoux this weekend. Hey Sarah Happy Birthday! How are things going? I am intrigued by the idea of "60s campari cocktails" and hope you'll tell us what they were when you get over your well-deserved birthday hangove. As for me, I haven't been around in a while because I like to get out and about in summer, but now that autumn is closing in it's back to blogging for Frip. Thanks Jacquie, we did, saw lots of cyclists too. As they were going up they didn't look too happy. Hope they made it to the top! Happy birthday...and you can send the leftover Campari this way. I am decidedly fond of a glass of gin and Campari. So 60s! I'm late as usual - so belated happy birthday!! O God, I'm a bit late here too. Happy Birthday! And may you have many, many more to come. Doing a big catch up of blog reading this morning so apologies for missing this. Hope you had a fabulous time. Looking forward to a detailed post of your 60s party so I can get tips for my big 'un next year! Yes you ! Happy Birthday - 40 years old? Need to see piccies of the partay! LOL not quite Jody. It was a 60s party not 70s... :) I'll get round to a post soon I hope. Been very distracted recently. Happy b'day! Turning 35 again (just like me? )?